Black Bear skull is cast from original specimen. Ursidae americanus. Male. 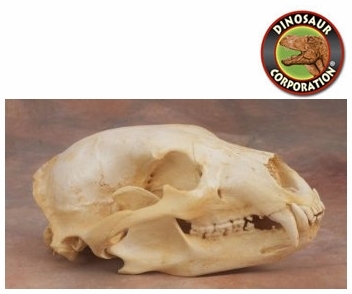 * Museum quality skulls are cast in durable polyurethane resins. Smaller than the brown bears but more widespread in their native North America are the American Black Bears, which range from Mexico to Alaska and from the mountains of California to the swamps of Florida and the forests of Maine.